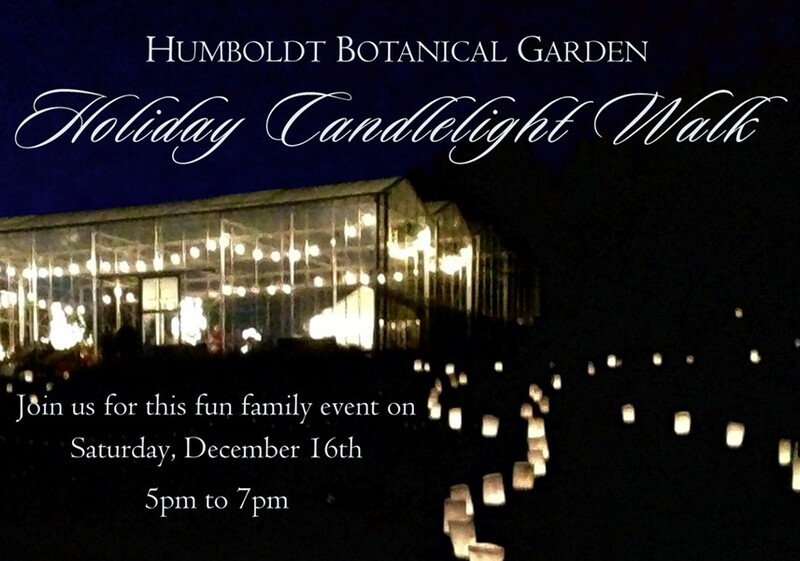 Celebrate the warmth of the holiday season and experience Humboldt Botanical Gardens bedecked in wonderland luminaries with your friends and family at the annual Holiday Candlelight Walk on Saturday, December 16, 5 – 7 p.m. Lighted walkways, warm bonfires, a twinkling Garden Greenhouse, plus a visit with Santa, and complimentary cookies and apple cider. Wine and beer are available for purchase. Call (707) 442-5139 for tickets and more information.